The Riva2 Sorrento gas fire has been designed to contrast the timeless beauty of natural stone against the advanced technology of the new Riva2 800 gas fires. The simple lines of this hearth mounted gas fire provide the perfect frame to the warming glow of the highly realistic log fire, establishing a true focal point in your room. Operation is impressive too, with all functions operated by the fully Sequential remote control. 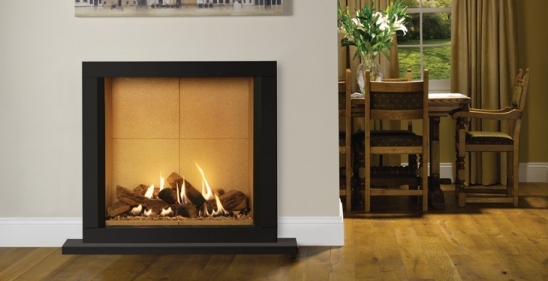 The Riva2 Sorrento gas fire is available as a balanced flue fire only; however, they can be installed into a conventional chimney by using the optional Riva2 renovation kit. Colour finishes: Graphite Granite & Natural Limestone.